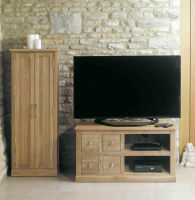 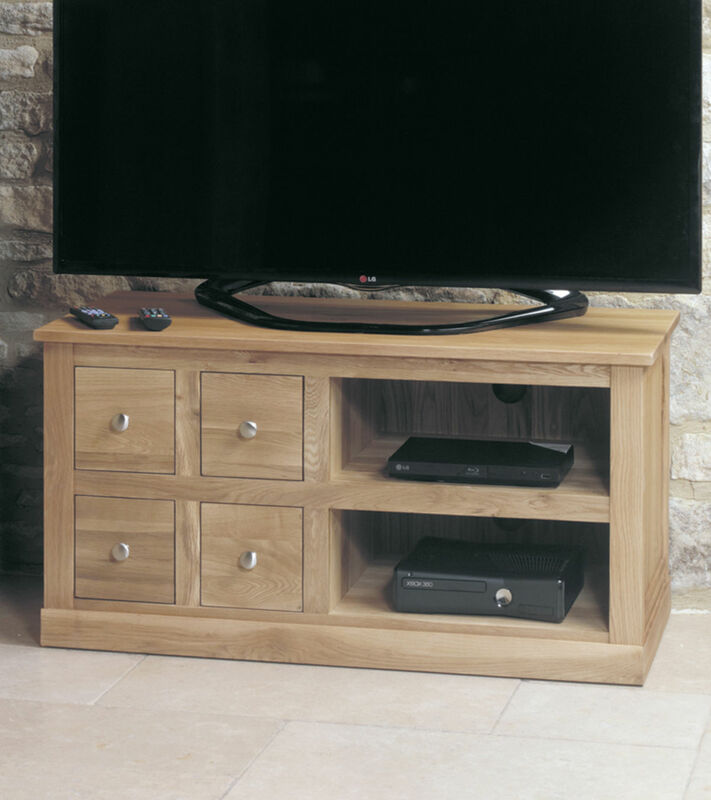 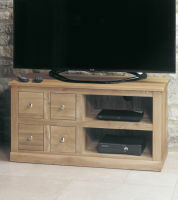 This popular Mobel Oak four drawer TV cabinet is designed to comfortably hold large televisions up to 50" wide. 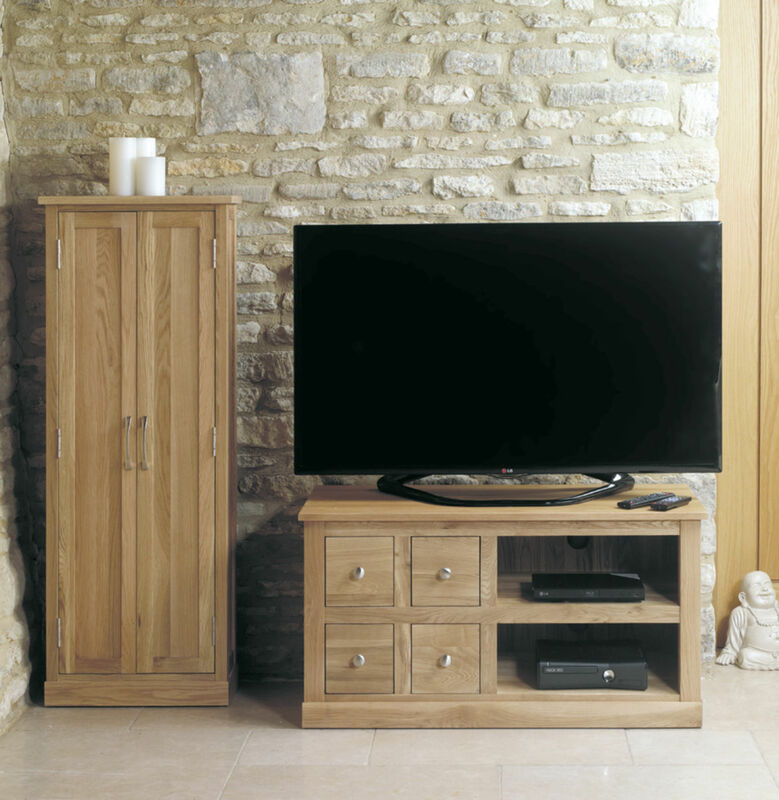 The clean and classic design has a contemporary edge that suits any living room or home. 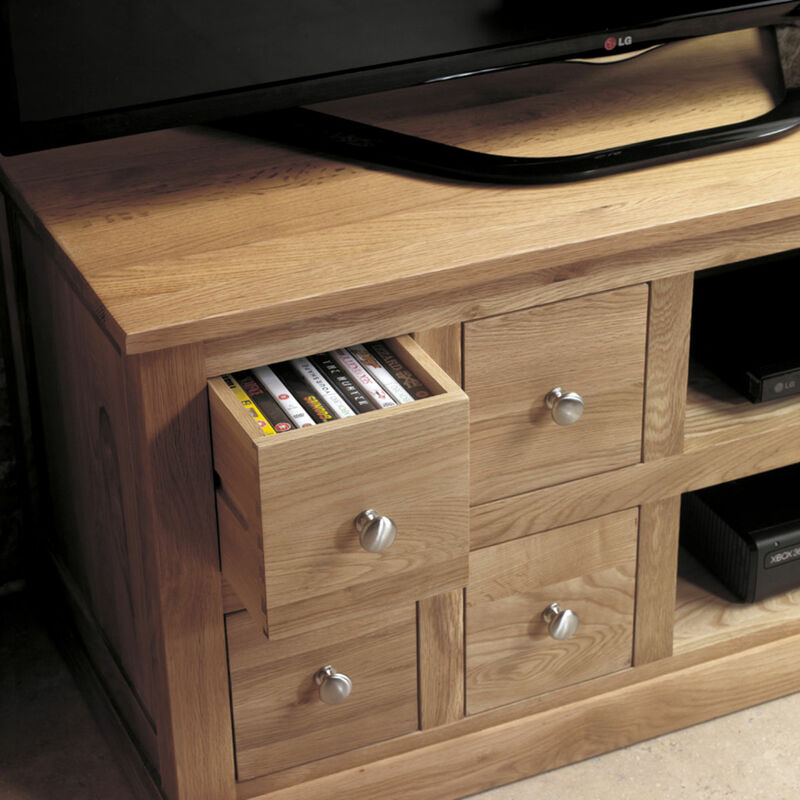 There is plenty of storage, with four drawersdesigned for storing approximately 116 CDs or 36 DVDs, has two large open shelves for DVD and other accessories and pre-drilled cable holes to keep everything neat and tidy. 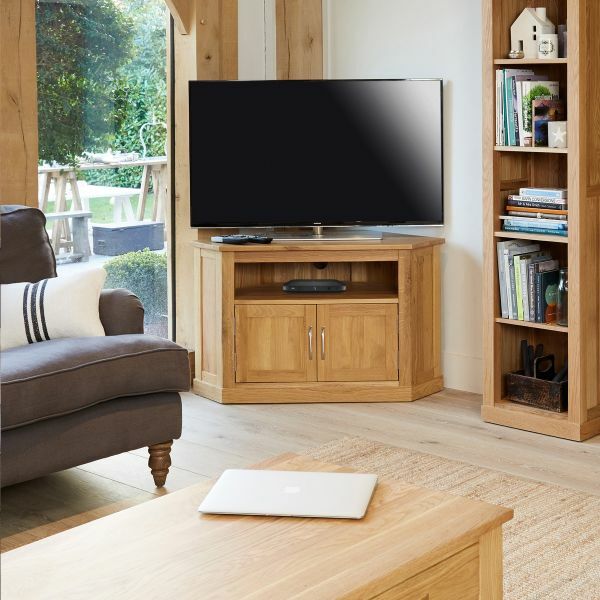 This four drawer oak TV cabinet is finished to exceptional standards and the hardwaring resilient satin lacquer finish emphasises the beautiful oak grain. 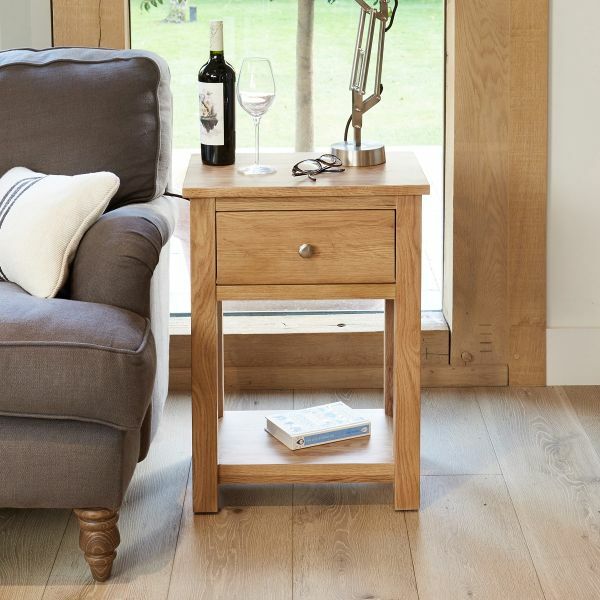 Finishing touches are provided by the two-tone brushed steel handles that complete the look. 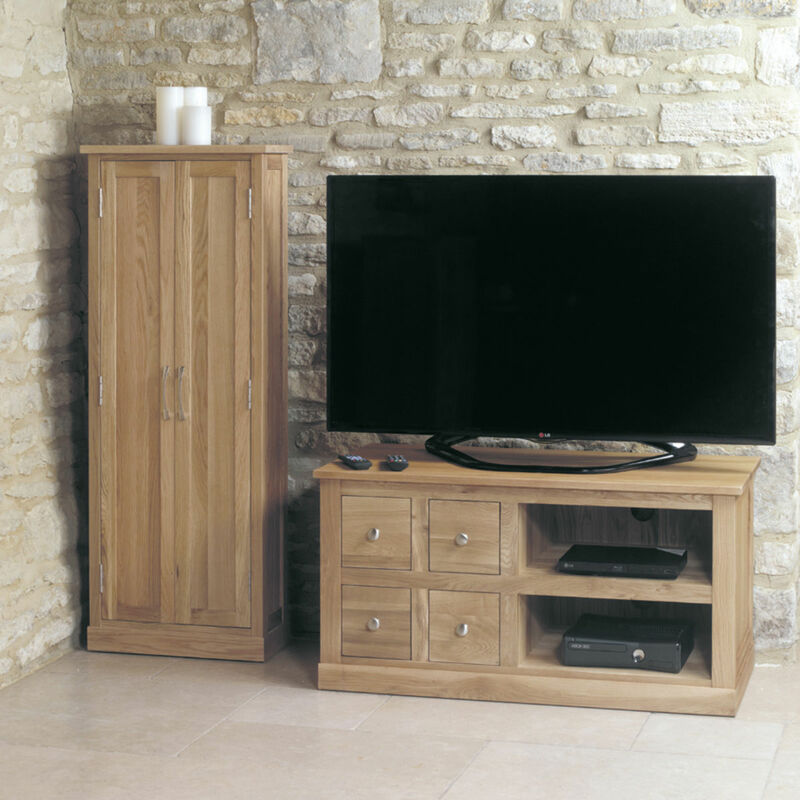 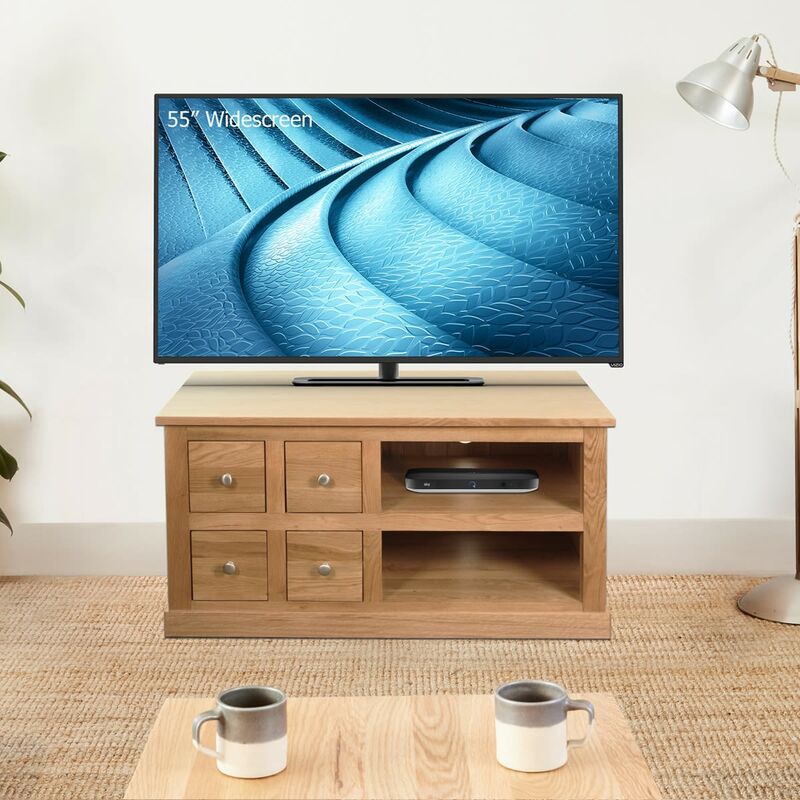 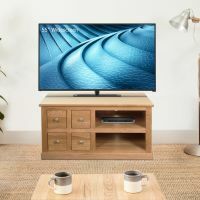 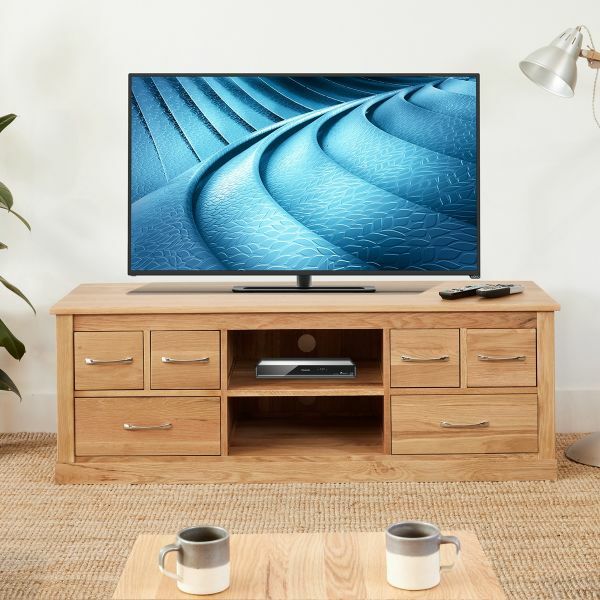 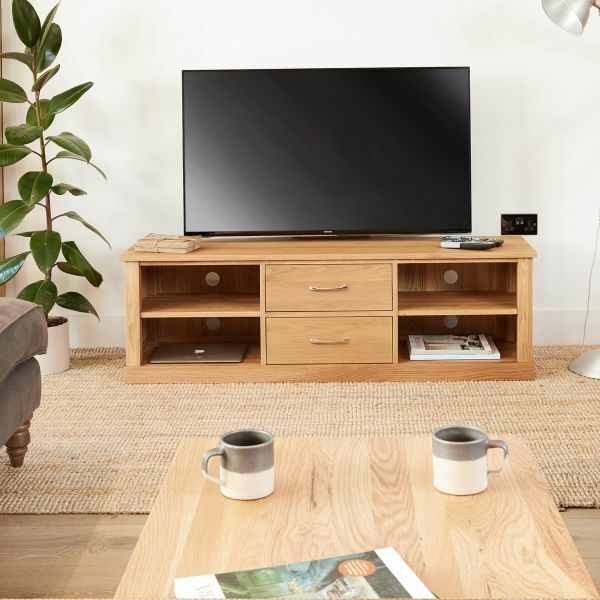 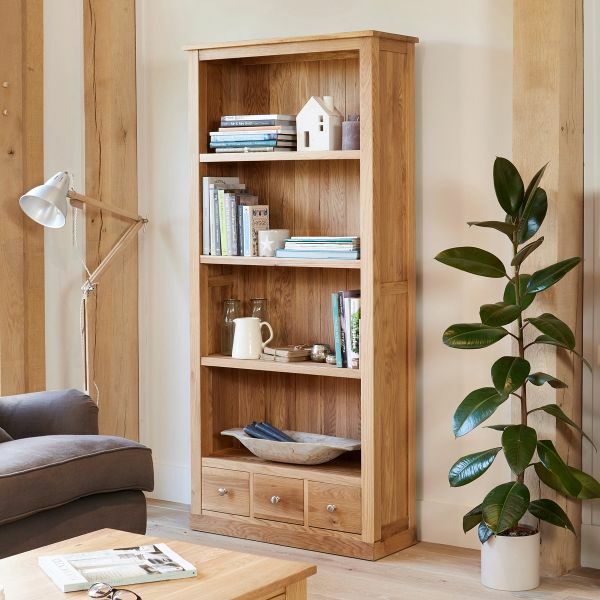 Beautifully crafted from the highest grade, selected solid oak (no veneers are used at all) this four drawer oak TV unit features exceptional build quality and is designed to last a lifetime. 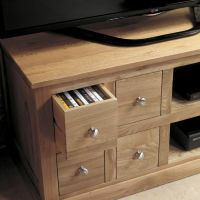 Why not consider our matching four drawer oak coffee table?